If the seating furniture around you looks dirty and unpleasant, it is time you sought our professional upholstery cleaning service. Count on us to make it look and feel as good as new. At "Carpet Cleaning La Canada Flintridge", we are proud of the fact that our technicians have an individual approach towards every job. The work begins with inspecting and analyzing the make and condition of the upholstered furniture while will paying close attention to how deep dirt has gotten and to the nature of any stains. This allows us to take the most effective approach towards the job. Our upholstery steam clean service involves modern equipment based on advanced technology. The steam gets deep into the upholstery and destroys the accumulations of dirt. All particles are extracted powerfully and gently at the same time. Safe and potent cleaners are used when required to produce the ideal result, so that the fibers will be in excellent condition at the end of the process. As dust, dirt and pollen are extracted with armchair, ottoman and couch cleaning, the indoor air quality will considerably improve. With our cleaning method, particles deposited into the upholstery with tobacco smoke are also removed. This makes the upholstery look and feel even better. The really great part is that the method is effective for odor removal. You will enjoy freshness like never before. 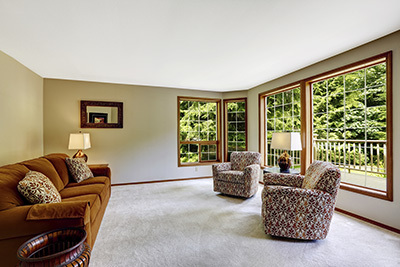 If indoor air quality improvement is your major goal, you should definitely take advantage of our carpet cleaning service as well. In this way, the level of allergens such as dust and pollen will be reduced to the lowest minimum. With our cleaning method, these particles are extracted even from the deepest layers of carpets and upholstery. It does not matter how thick or tightly woven the fibers are. Wine and coffee stains can be particularly unsightly while those left by spilled liquid medications typically have very bad smell. After running careful inspection, our technician will choose the most appropriate stain removal method, so you can rest assured the furniture will look like new in no time, with no sign it was ever stained.